I’ve never made jam before, and I have it on good authority that it’s a tricky one to get right. I’d grown a small amount of green tomatoes in my windowbox over the summer, and wanted to use them up, so supplemented them with some shop-bought green tomatoes and bought plenty of sugar to make jam from them, intending to do it on a leisurely Sunday afternoon. So, last Friday night after a very adequate dinner of port, crackers and cheese, I decided to attempt making the jam around 10pm. I wouldn’t say I was drunk exactly, more just the tired you get if you’ve had some drinks early on then stopped drinking. Whatever the case I wasn’t really in the correct frame of mind to try jam making. 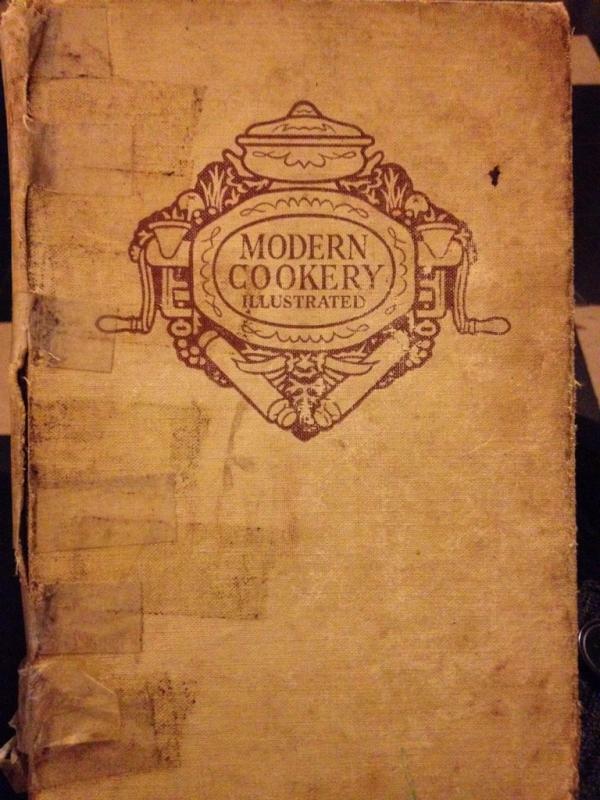 The recipe I chose was from Modern Cookery Illustrated, published by Odhams Press Ltd (this edition is from 1947), a pleasantly worn book I got from a car boot sale the other weekend. 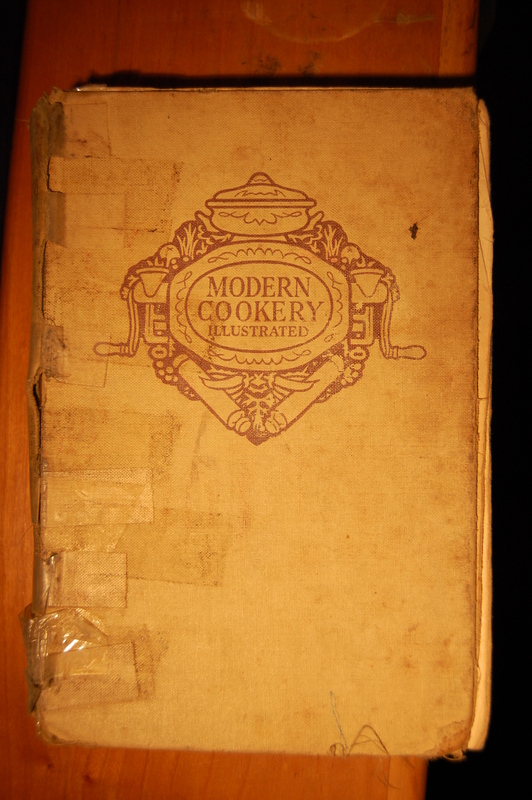 The page edges are all soft with years of use, the spine is sellotaped together and the margins peppered with neat notes in old fashioned handwriting.